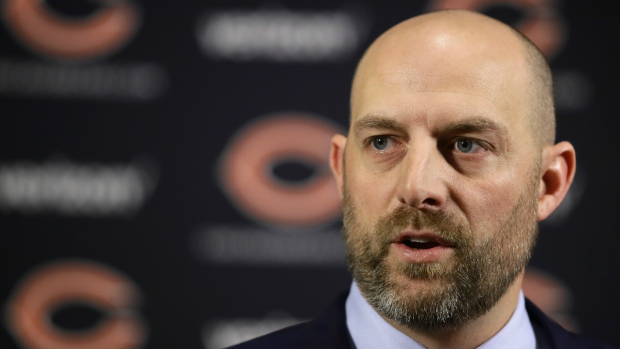 The Chicago Bears made it official on Friday morning, as they announced the hiring of three new coaches to Matt Nagy’s staff. The first and highest profile of the hires is that of offensive coordinator Mark Helfrich, who will help Nagy in his quest to groom quarterback Mitchell Trubisky. 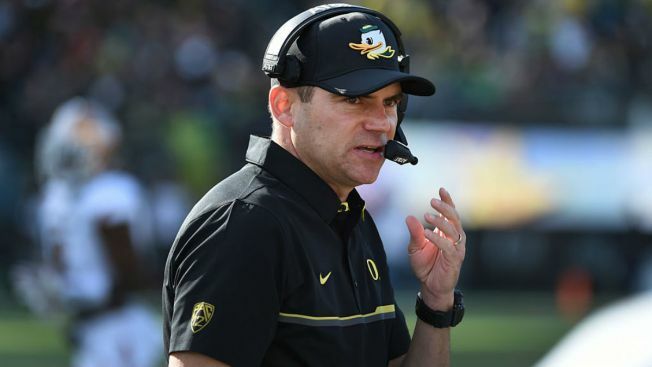 Helfrich, who has no NFL experience, made his name at the collegiate level, serving as Chip Kelly’s offensive coordinator at Oregon before becoming the head coach there for four seasons. The Bears also announced that they have hired Chris Tabor as the team’s new special teams coordinator. Tabor, who survived several different regimes with the Cleveland Browns, is well-respected in league circles for his approach to the game, and he will look to clean up an area in which the Bears showed a lack of discipline during the 2017 season. Tabor served as an assistant coordinator with the Bears from 2008 to 2010, working with former special teams coordinator Dave Toub. Finally, the Bears also announced that they have officially hired Charles London as the team’s new running backs coach. London was originally hired by the Bears as an offensive quality control coach by former boss Lovie Smith, and then became an offensive assistant for the 2008 and 2009 seasons. London will be tasked with maximizing the talents of running backs Jordan Howard and Tarik Cohen, who proved to be one of the NFL’s more intriguing tandems last season. The trio joins offensive line coach Harry Hiestand, who joined the team earlier this week after a successful stint with Notre Dame. The Bears have yet to make any hires on the defensive side of the ball, as the team awaits the decision of defensive coordinator Vic Fangio. The coach is reportedly a candidate for several other jobs, and according to one report may be waiting to see if Minnesota Vikings offensive coordinator Pat Shurmur gets a job with another organization before making his decision.